She knows I have a tendency of pushing things to the limits physically and mentally. She knows I usually get sick in the late fall or around the holidays. She knows my “qualitative” signs of over-training or stress. She is vocal enough to speak up and give me fair warning (then she lets me make my own choices or take my own chances). I have to pay attention to these signs or suffer the consequences. The consequences are of course getting sick, injured and as a result, missing training. Missing training is not going to help me reach my lofty goals and objectives. I can only reach my lofty goals and objectives with large amounts of training and dedication that are built upon the principles of consistency, momentum, and discipline. You notice your mood or mindset change for the negative. This method is qualitative, not quantitative. It’s based on how you feel. You may feel tired, worn-out, apathetic, and sloppy. You get to where you don’t even feel like training. You want to skip training and sit on the couch or do something else. I also feel my mental state change. I feel more cranky, impatient, intolerant, or aggressive towards others. But generally, I feel worn out and exhausted. I try and pay attention to understand myself well enough to know that it’s time to step off the gas, pull over, and put more emphasis on rest and recovery. Resting Heart Rate Test – This is the 5%/10% test that should be done first thing in the morning as soon as you wake up. It requires you to know your baseline and healthy/consistent resting heart rate (number of heartbeats per minute). You can manually count the beats with a watch or obtain this data with a blood pressure machine (which I keep beside my bed) or a recovery tool such as the Morpheus Recovery System (which I use every morning). If you discover your resting heart rate is 5% above baseline, take it as a warning. You may be able to do some light training and keep things rolling, but be warned. You are pushing the envelope and your immune system and bio-markers are providing you valuable feedback. If you are 10% or above your baseline, you are officially smoked and need to rest/recover. It’s better to skip all training rather than risk injury and sickness that will require you to miss far more than a rest day. Here’s a real-life example; My baseline resting heart rate is 42. If my resting heart rate was 45, I take notice and know I’m getting close to the line and need to take it easy that day. If my resting heart rate was 47/48+, (10% above baseline), I know I am officially smoked and need to back off as I am on the verge of getting sick or injured. Morpheus Recovery System. I use the Morpheus Recovery System which runs off a phone app, sleep data, training data, and most importantly “heart rate variability metrics.” Science is now indicating the value of knowing and benchmarking heart rate variability as a sign of over-training. I could see this week that I’ve already been showing signs of physical distress 4 out of 7 mornings. That’s a significant warning and is telling me that I need to back off the throttle or suffer the consequences. Make sure you are taking rest and recovery seriously so that you can push training volume as much as possible. It’s a balance. 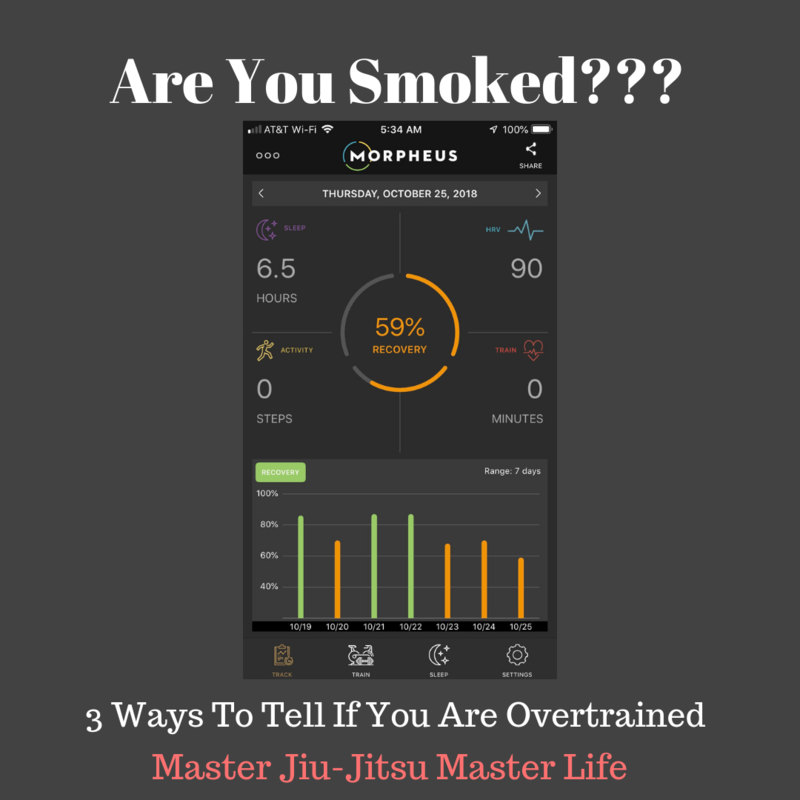 The goal is to maximize training volume but you can’t do that if you are smoked. Too much rest is leaving chips on the table. Too little and we end up sick or injured and that derails our training. Strike that balance and achieve the most effective training results that your individual body and mind can absorb.